If there’s one song that sums up the ‘Skater’ era of popular music the best it’s surely the aptly named Sk8er Boi. ‘He was a boy, she was a girl can I make it anymore obvious?’ is such a brilliantly simple opening lyric and sets the tone for a genuinely fun pop song that has this youthful energy to it that’s impossible to fight. Here’s a brand new act who is so confident at just 18 that she can claim to be ‘cooler’ than the bubblegum teen pop around her while releasing a song with an 8 in the name. It’s interesting that the opening track, the huge sound of Losing Grip is one of the most forward thinking moments on the record. Let Go is definitely a punk rock leaning Pop record and not the other way around. On this track, as well as closer Naked, Avril recalls the likes of Alanis Morissette with an impressively confident rock vocal performance. Unwanted kicks it up a notch even further, placing her alongside contemporaries like Nickleback and Linkin Park. She’s so comfortable on these big songs, that it’s interesting how the other half of the album stands up too. Her work with the writing and production team The Matrix makes for the best songs on the album, including the 3 biggest singles. The aforementioned Sk8er Boi, the still impossibly catchy mid-tempo Complicated and album standout ballad I’m With You. Alongside the unexpected glossy joy of album cuts Anything but Ordinary and Things I’ll Never Say you can literally hear a 14 year old Taylor Swift picking up her guitar and emulating the sound that would define her career over half a decade later. The album begins to come unstuck with the clunky writing on My World and Nobody’s Fool, but for the most part this is a well conceived and consistent teen pop record. Avril Lavigne carved herself a perfect niche in the market with Let Go and while she may have gone on to have bigger individual hits (the inescapable Girlfriend) or more personal albums, such as follow up In My Skin, Let Go remains the best body of work of her career. Will I listen again? 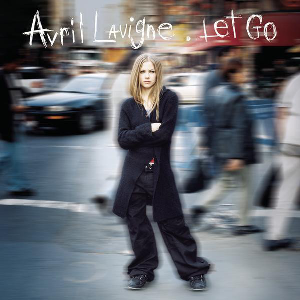 : I’ve definitely rediscovered Avril through going back to Let Go. Best Track: Sk8ter Boi is super fun and Complicated was a SingStar favourite of mine, but the vocal performance and songwriting on I’m With You is the best of Lavigne’s career. Tags: Avril Lavigne, Complicated, I'm With You, Let Go, Sk8er Boi, The World's Greatest Hits. Bookmark the permalink.